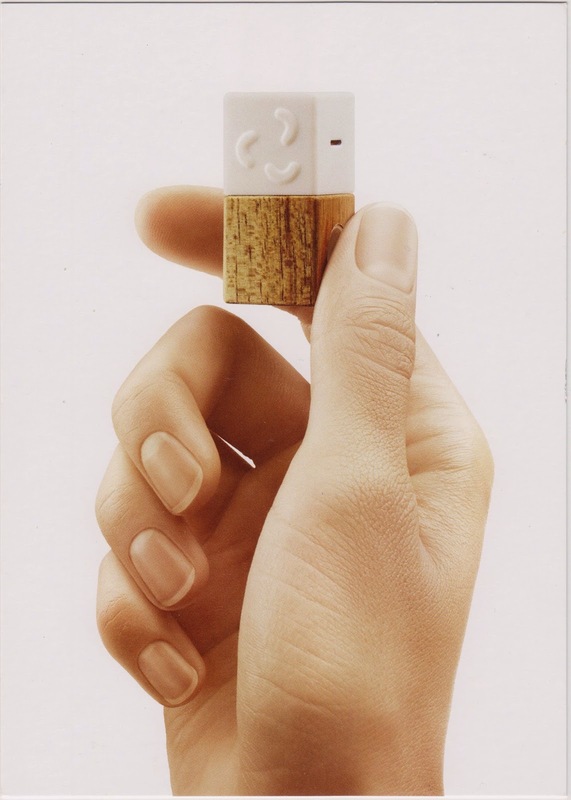 Postcard US-2692591 to Ukraine shows a sensor for the Personal Environment Monitor (PEM) by Lapka™, which can be connected to a smart phone connect through the device's headphone jack. PEM works with your smart phone to measure and monitor humidity, electromagnetic fields, and radiation in your personal environment space at work and at home. One of the sensors in a form of a stainless steel probe can even help you verify whether those "organic" vegetables and fruits you bought at the store are really organic by measuring the quantities of nitrates in those organic matters. The postcard was obtained at Lapka's booth at the 2013 CES.